Karrie Gavin is consistently ranked among the top agents in Philadelphia, not only in sales volume, but most importantly, in client satisfaction ratings. Karrie's responsiveness, market knowledge, top-notch negotiation skills, and tireless determination to help her clients achieve their goals, are just a few of the qualities you will see noted again and again in her many glowing reviews. 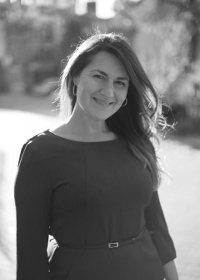 Karrie is team leader of the Karrie Gavin Group, the Top Producing team at Elfant Wissahickon Realtors, the largest independent brokerage in the Philadelphia region. She has also been voted Best Realtor in Philadelphia by Philadelphia Family magazine. A Certified Negotiation Expert (C.N.E. ), Karrie has a proven track record of negotiating great deals for her buyers and also winning in competitive offer situations, which is sometimes necessary in today's busy market. She also offers great advice and strategies in helping sellers prepare their homes for sale and consistently sells her listings for higher prices in less time than the market average. Born and raised in Philadelphia, Karrie is author of the local guidebook Moon Philadelphia and is a true local expert. She is an invaluable resource for anyone looking for a deeper understanding of what each unique Philadelphia neighborhood has to offer and for anyone trying to figure out where they want to live. As the mother of two children, she has keen insights into the special considerations of home buyers moving with children, including navigating the myriad of school options. From first-time buyers to those juggling the timing of buying and selling, to seasoned investors looking for a great deal, and for home sellers looking to maximize their profit and minimize the stress of selling, Karrie has the tools, knowledge, and enthusiasm to help you achieve your goals. Call or email to see how Karrie and her team can help. It's the best move you'll ever make!